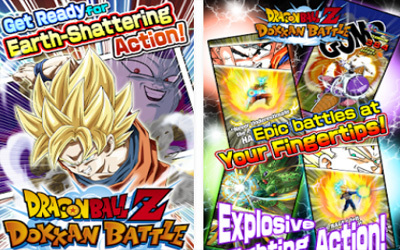 Previous version DRAGON BALL Z DOKKAN BATTLE 3.1.2 apk for Android will help you to downgrade or install older app easily. This is one of the best Action apps. At the beginning of the game, there are some instructions that you can skip. After that, the game starts with a puzzle mode. This is what makes it more interesting. The goal of this game is finding Ki Balls that have the same color. The fight that you will encounter will feel quite pleasant, for that your own Establish formidable team. In this game, you can explore the worlds located in the Universe. You can utilize a variety of items and power ups to strengthen your dream team. You can enjoy comfortably DRAGON BALL Z DOKKAN BATTLE for Android because it has great graphics and sound. This makes the game’s interface is user-friendly and easy to understand. Unfortunately not all devices can play this game. To enjoy it, it is recommended that you have Android version 4.1 or higher. Game can be downloaded for free, but in it there in-app purchase. Although it can be played offline, but this game need an internet connection in multiple conditions. For example, some users who have tried this game complained of regular updates. This makes it consumes a lot of data. Added a new function “Dokkan Timer”. Adjusted obtainable character EXP in some Quest stages. Great game! New patch really changed the look of some of the details.